When winning is the name of the game for your brand and your users. Social media is a key method for encouraging brand engagement, and in an increasingly dense online world, innovative and inventive means are required to generate that engagement. So whether you’re looking to increase brand awareness, build a customer database, or collect rich content, social media contests can be an effective way of achieving your marketing objectives. Without further ado, here are 15 valuable tips on running a successful social media contest to ensure it is engaging, effective, and organized. Before you make any social media moves it’s important to determine your marketing objective. Lay out what you want to achieve or accomplish by running a social media contest. Is it to build leads, boost followers, encourage brand engagement, or generate rich content? Does it focus on your existing audience or reach new potential users? Heineken increased its number of Instagram followers by 20% with its @Crack_the_US_Open contest with 1,500 people participating over three days. Users had to stitch together pictures of a fan-filled grandstand fans using posted clues and code words. Your target demographic and their social media behaviour will somewhat dictate their level of activity and engagement, so be sure to understand your audience in order to get the best results. 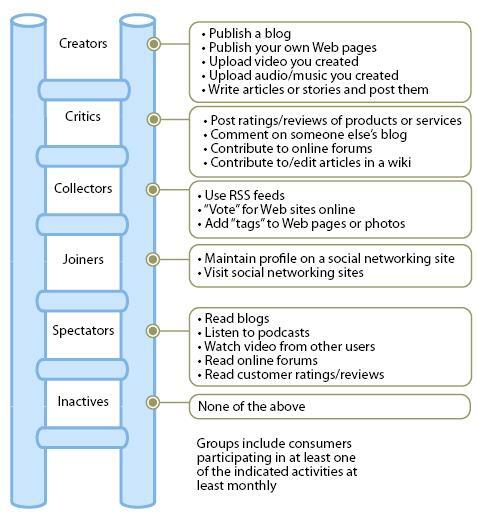 The Social Technographics Ladder categorizes social media users into seven groups ranging from Inactives who don’t use social media (so let’s forget about them), to social-media savvy Creators who get involved at every opportunity. Determine where your target audience lies on the ladder—it may be across several categories—and cater your contest towards that sector. Creators would be well into a Heineken-style scavenger-hunt competition while a retweet contest might tickle the fancy of Joiners. The Airbnb Shorts Video Contest caters for the full ladder of social media users. For those who like to get more involved, they could make a post a 15-second video to Instagram showcasing their favorite local spot; for those who like to sit on the sidelines, they could just watch the videos and like and comment if they wished. Now that you’ve got a handle on your audience, make sure the contest you choose is right for your brand as well as your target market. Consider how easy it is for participants to enter versus how much effort is required on their behalf. Easier contests, such as a sweepstake, garner a bigger audience but because they require less effort they also have less brand engagement. In contrast, more difficult contests, such as producing a video, attract less participants because they take more effort, but the pay-off is they generate much richer brand engagement. For Expedia’s Throwback Thursdays competition, participants had to post a picture on Instagram of a favourite past vacation and tag it with @Expedia and #ThrowMeBack. It required very little audience effort, but the possibility of big rewards. Expedia gave the lucky winners a travel voucher to recreate their trip. By the end of the contest Expedia doubled their Instagram following and grew their audience across all media platforms. Make it easy for your audience to be engaged and involved and understand what is required of them. Easy to enter, easy to participate, easy to share—it all equals a greater opportunity for brand awareness, lead generation, and achieving marketing objectives. Esurance’s social media contest #EsuranceSave30 came out a Super Bowl winner. Instead of buying a Super Bowl commercial, Esurance bought the first spot after the game and saved $1.5 million. What did it do with those savings? Gave it to one lucky winner who tweeted #EsuranceSave30. Couldn’t be easier. 05. And the winner is? People enter contests as hopeful winners, so be clear both in your contest plan and participant information about how the winner is selected. Are they chosen randomly, picked by you, selected by a panel of judges, or voted by other followers? Announce the winner on the social media platform (and other platforms where appropriate) and consider sharing winning entries for all participants and non-participants to see. Post their photo or video on Facebook, Instagram, or Twitter, or create a Pinterest board for finalists. Every month Fossil gives a prize pack to one user who posted a picture of their Fossil item/s on Instagram. Their contest rules state they pick a grand-prize winner each month, plus a favorite each week. They also announce the winner on Twitter and other social media platforms. Create a social media graphic in Canva announcing the winner of the contest. This is easy to update if winners are announced on a regular basis. You can adapt the template above. Winning prizes is what really drives participants’ motivation to enter a competition, so offer a prize that is closely aligned with your brand and product or service offering. This will help ensure a relevant audience and ultimately aid your marketing objective. Swedish pop festival Popaganda created a game show on Instagram to release its artist line-up. It posted video charades as artist clues and participants had to comment with the correct artist name. The winners received two tickets to the festival. Create a graphic in Canva to announce the prize or prizes up for grabs. You can adapt the template above. There are more than half a dozen social media platforms to run contests on, but the more you include in your contest plan, the more complex and possibly confusing it can get. Focusing on one platform will help streamline the contest, make it easier for entrants to understand the contest, and ease resource requirements. Roxy’s Pin to Win contest is Pinterest-centric. Participants just had to pin their favorite surf shot for the chance to win a $200 gift card. The complexity of the contest will help dictate the timeframe of the competition, but make sure the final date (or time) is clearly advertised. More involved competitions, such as video production, will run for longer, while one-day flash contests can be short and sweet, and budget friendly. The social media contest run by Raise Your Words clearly states the dates it begins and ends. Participants have one month to upload a photo or video to Instagram to be in the running to win. Once you’ve determined the end date make a timeline that includes the following five phases: pre-launch, launch, last chance, completion, and winners. Plan the time allowed for judging, when entries open and close, when promotion starts, and other key milestones along the way. Ensure you have resources to administer the contest, whether it’s time, staff or money. Various contests will require more or less resources, and if the contest goes viral, be prepared to handle the volume. Consider whether you will need time or people to review submissions, answer entry enquiries, or monitor community dialogue. National Geographic’s Untamed Americas Instagram competition asked users to upload a photo and add the hashtag #UntamedAmericas for a chance to win. The company enlisted three judges to choose the winning entry. The last thing you want is contestants or social media platform administrators disputing the rules of your contest. Spend time writing the rules and making the terms and conditions very clear, and playing by all legal requirements and in line with social media platform guidelines. It’s better to be safe than sorry so ensure you receive permission from contestants if you’re using submitted content for later promotion. Most platforms will outline their promotional guidelines and consider adding a disclaimer that the social media platform is not sponsoring the competition. People Footwear’s social media contest has clear link to its rules and regulations, which are fully stated on a dedicated page. Create an easy-to-understand graphic in Canva with entry information or contest rules. You can adapt the above template for your own use. Keep on your contest aligned with your brand. What’s required of entrants should be appropriate for your product, service and brand personality, and your copywriting and graphics should all align and reinforce your brand image. Iron & Resin invited its motorbike-loving customers to share their favorite moments #fromthesaddle on Instagram and gave away weekly prize packs to participants. Create on-brand artwork in Canva using relevant images to catch your audience’s attention. You can customize the template above. KLM promoted the airline’s extra legroom with the #KLMGetComfy social media contest on a dedicated Facebook app. Participants had to share what comfort means to them for the chance to win two flight tickets and users voted for their favorite entry. The name of the competition was simple to understand, share, and hashtag across various social media platforms. An eye-catching design will also boost the share-factor as well as participant interest. Create high-quality graphic images that are relevant, on brand, and consistent; and customize your design for cross-promotion on different platforms. This design for Foot Locker’s Horse with Harden contest will attract any NBA lover. James Harden stares down the lens of the camera while the name of the competition is announced in big, bold type. Create a contest-specific banner in Canva for Facebook or Twitter and update it as the contest progresses. You can play around with the customizable templates above. Don’t forget to promote the contest before, during and after; create an editorial calendar as part of your timeline and include email messages, social media posts, and other communication. Promote the contest on the platform of choice and cross-promote it on other platforms and online and offline media: websites, paid promotion, email newsletter, point of purchase, partnerships. Create a contest-specific hashtag to encourage reposts, shares, retweets. Nascar’s Hashtag 500 social media contest is part of an integrated marketing campaign that requires Dayton 500 fans to follow Nascar on Twitter for custom hashtags and the chance to win. Nascar has promoted the Twitter contest across all online and offline media, including Facebook. Pay attention to the types of contests that catch your eye on social media platforms, and take note of their appeal and apply it to your contest. Once you’ve run one contest you’ll know what works and what doesn’t and don’t forget to dream to go viral. It’s every social-media marketer’s fantasy and there’s no reason it can’t work for you.